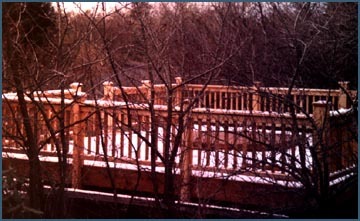 Next to the Swallow's Nest main office is our delightful hot tub surrounded by a beautiful deck. This is a great place to relax after your daily activities. We now can offer you the following activities during your stay. Privileges at the Vashon Island Golf and Country Club: Rating a 6 or 7 in difficulty, this nine hole course slopes to the north affording players a sweeping view of Puget Sound and the east shore of the Island. The course is hilly enough so you can't see the greens from the tees. The fairways slope to the right. Water and sand traps add interest (spell that frustration). After your game, have lunch at the club house or take a dip in the pool (summertime only). Our guests pay only nominal fee to be a "country club member for a day". A Hot Tub at the bluff top location: Soothe away your stress! Let the water jets massage your body! Our seven foot octagonal spa is set into a deck with a glimpse of Mount Rainier through the plum trees. Lay back and watch the stars at night. The tub and deck may also be scheduled for your private party. Nominal user fee may be required. experience, they are well worth the $65. that they charge our guests for a one hour massage. Vashon Athletic Club: Swim in the pool. Work out in the gym. Play squash. Meet Islanders at one of the Aerobics classes. All this and more is available for one daily fee paid directly to the club. sailor who wants to escape and feel "the winds upon the waters". $12./ hour, $24./ half day, $40./ day.